I have been making this meal forever. To my suprise I opened my blog to read up on my measurements, and I have not blogged this! It is one of those recipes that for the most part I know from heart. But I am cooking for a dinner party tonight and I needed to double it, so I thought I would double check and sure enough... not on here. SO ... I walked over to my cupboard that has the big green book. The sacred one that is about 6 inches thick and has ever recipe I have ever made in it. Now I am going to post it on here for all the world to have. The secret is out. For great Caprese look no more. I wish I could tell you where I adapted this recipe from. I have been making it so long and I am sure I saw it in a magazine at some point, but I have no reference other than my own notes. If you are not celiac, or gluten free. Simply use your own all purpose flour and regular angel hair pasta. Honestly, you can't tell the difference in this recipe. I used DeBoles angel hair because I really think angel hair is a necessity when making this dish. Just make sure to cook your gf pasta al dente and you can't lose. This recipe is for 6 servings, but beware. Everyone loves it. So if you have more than 4 people I would double it. It is perfect for a family of 4 just the way it is. Take out your tomatoes and make sure they are washed. 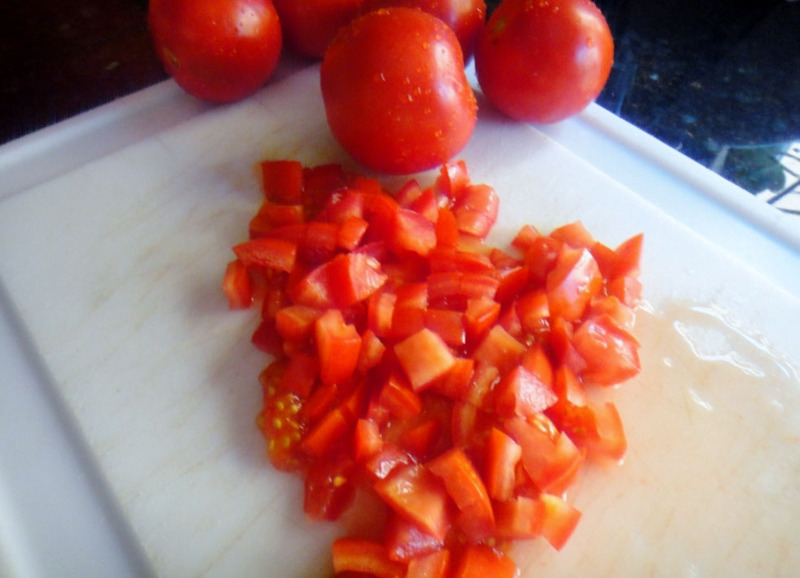 Core the tomatoes and cut into one inch pieces. 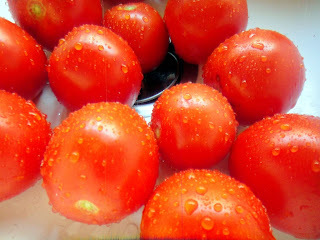 Combine Tomatoes, basil, 2 tablespoons of extra virgil olive oil, 2 TBSP minced garlic, 1 1/2 teaspoons of italian seasoning, and 1 1/2 teaspoons salt in a large bowl. 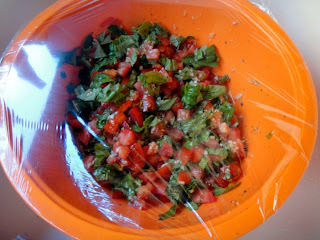 Mix well and cover with plastic wrap. Refridgerate for at least 4 hours. 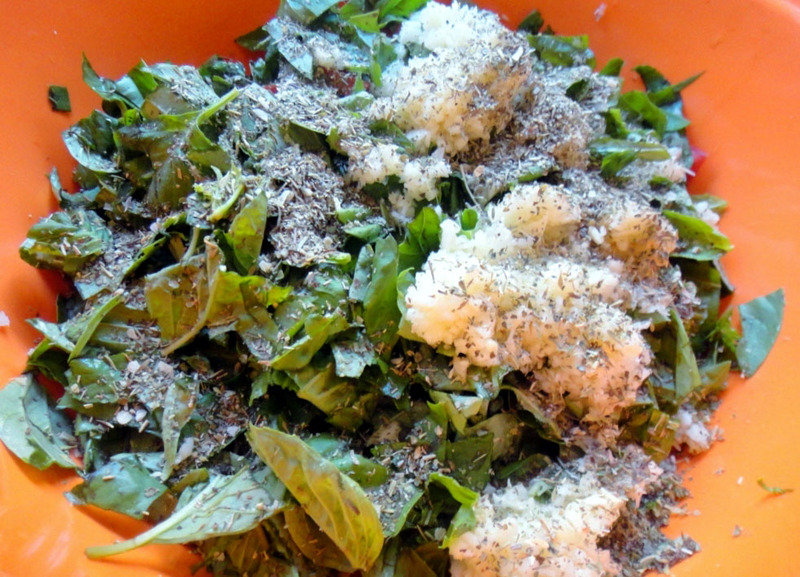 Combine 1 1/2 cups flour, 1 TBSP salt, 2 teaspoons black pepper, and 2 teaspoons of italian seasoning in a ziplock bag or container. 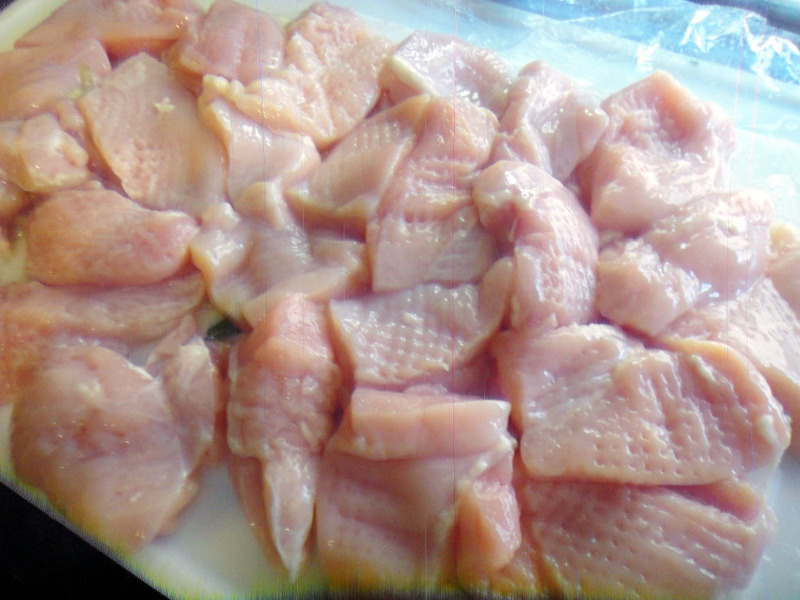 Cut the chicken into pieces and tenderize it with a meat tenderizer. Add the chicken into the bag or container with the flour seasoning mixture. Shake and toss until chicken is fully covered. Put in fridge for at least one hour. Preheat the oven to 350 degrees. Coat a large non stick skillet with vegetable oil and heat over medium high heat. Shake off any excess flour from the chicken. Place the chicken in the skillet and saute for about two minutes on each side. You are not cooking them all the way through, you are just searing them. You want them to be just golden. Transfer chicken to a large baking dish and place in oven to cook for about 10 minutes, or until chicken is cooked through. While pasta is cooking, heat 2 TBSP of extra virgin olive oil in a medium suace pan over medium heat. Add one tabelspoon of minced garlic and saute for one minute, but do not brown. Add 1 TBSP of gf flour and stir to combine. Add White Wine and bring to a boil. Boil for one minute. 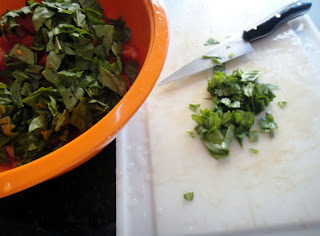 Remove marinated tomato and basil mixture. Drain tomatoes and basil from liquied and set aside. Add the marinade liquid to the sauce pan and cook for one minute. Add heavy cream and lower heat to bring to a simmer. 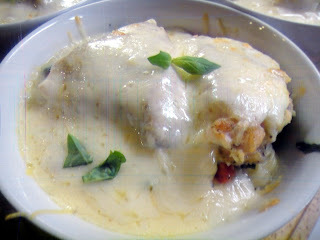 Add grated cheese and stir until fully incorporated into the sauce. Transfer pasta to baking dish. I like to put them in individual heat proof bowls. Layer, pasta, tomato basil mixture, chicken, sauce and sprinkle with mozzerella. But in the oven and broil 2-3 minutes until cheese is melted.